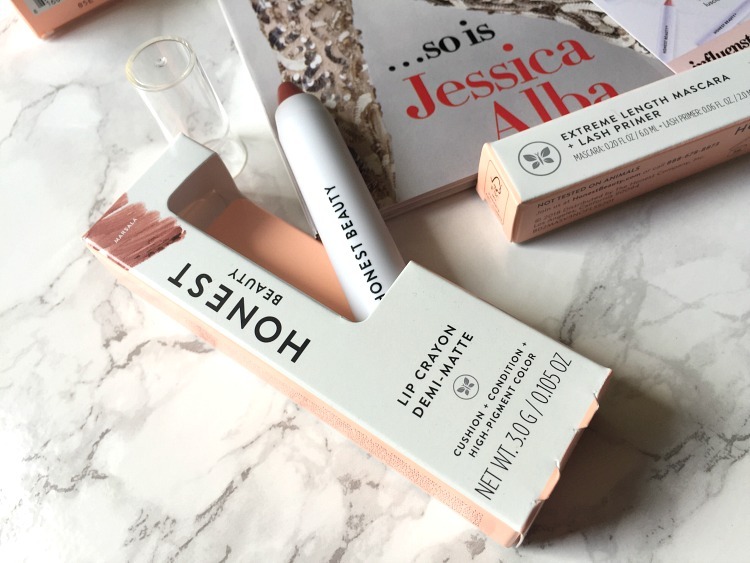 While I am familiar with The Honest Company by Jessica Alba, I have to admit that Honest Beauty is new to me. Not only do they sell beauty products, they sell skincare and hair care items as well. As you all know I love to try new beauty products, so I was excited to learn I'd be receiving the Everything Primer Matte, Extreme Length Mascara + Primer, and Truly Kissable Demi-Matte Lip Crayon to try via Influenster. EVERYTHING PRIMER (MATTE PREP + PRIME) | Let me first note that I am always picky when it comes to primers. It must work under my foundation to combat oiliness (as I have oily skin) without making my face dry or flaky. 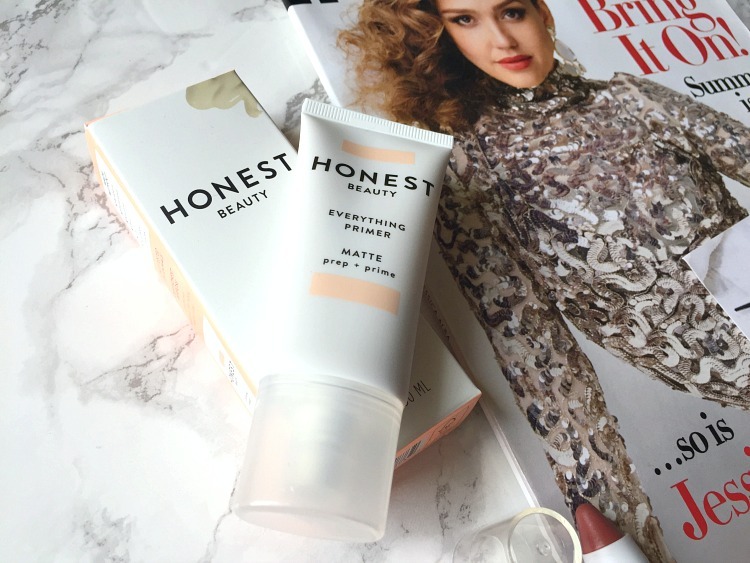 Honest Beauty Everything Primer Matte is described as a "buildable and breathable moisturizing primer" that promises "long-lasting, even makeup coverage that controls shine throughout the day." Add to that the fact that it's oil-free, and it sounds like everything I need in a primer. This primer did a good job of keeping my makeup in place all day. I didn't feel any oiliness throughout the day, nor did I have to continuously touch up my face with pressed powder. And though it says that the primer is matte, it didn't seem to mattify my foundation. It did, however, keep my foundation in place for several hours. I like that it's moisturizing and covers my pores and doesn't dry out my skin. Bonus for not being formulated with any harsh chemicals or anything that could irritate my sensitive skin or eyes. So far, so good, Honest Beauty! Retails for $21.99. EXTREME LENGTH MASCARA + LASH PRIMER | Mascara + lash primer is a duo that I'm all the way here for, ladies. I am down for anything that makes my lashes more defined without having to apply several coats of it repeatedly. With claims to boost lash length, volume, and definition, I couldn't wait to try the Extreme Length Mascara + Lash Primer. And it did not disappoint. It does a great job of separating my lashes, I notice right away. After applying, I let it dry for a bit, moving on to the eyeliner step of my beauty routine. And while it leaves a bit of white residue on the lashes, it's to be expected because the primer is a translucent white and not clear. But once I applied a coat of mascara on top of the primer, the lashes started showing up and out. It woke my nearly non-existent lashes all the way up and gave my eyes more of a wide, brighter appearance. Retails for $14.99. TRULY KISSABLE DEMI-MATTE LIP CRAYON in MARSALA | So you guys know how much I love lippies right? 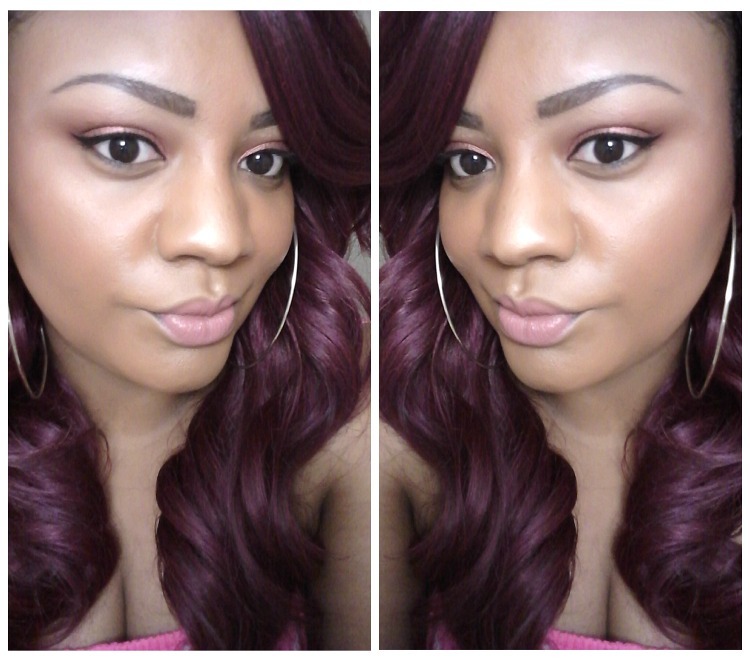 So I think I was the most excited about trying the Demi Matte Lip Crayon in Marsala. Formulated with a blend of jojoba oil, murumuru butter and shea butter, I anticipated this to be a moisturizing formula that would last all day (with the demi-matte finish, of course). This lip crayon was a bit of a disappointment for me, though. All in all, I liked the Honest Beauty products I was sent to review. In fact, I can see myself using the Everything Primer and Extreme Length Mascara + Lash Primer a lot this upcoming season. And while I like the natural shade of the Demi Matte Lip Crayon, I don't know if it's one I'll reach for as often as other lippies in my stash. Out of all three items, the Extreme Length Mascara + Lash Primer outshines the rest. I really like that it has a built-in primer that helps me get the volume I desire when using mascara. I also like the fact that it doesn't contain any harsh ingredients, which is a dream for someone with sensitive eyes like myself. Add to that the fact that it's pretty affordable ($14.99) considering it's two products in one. So if I repurchase anything from the bunch, know that it will be the Extreme Length Mascara + Lash Primer. 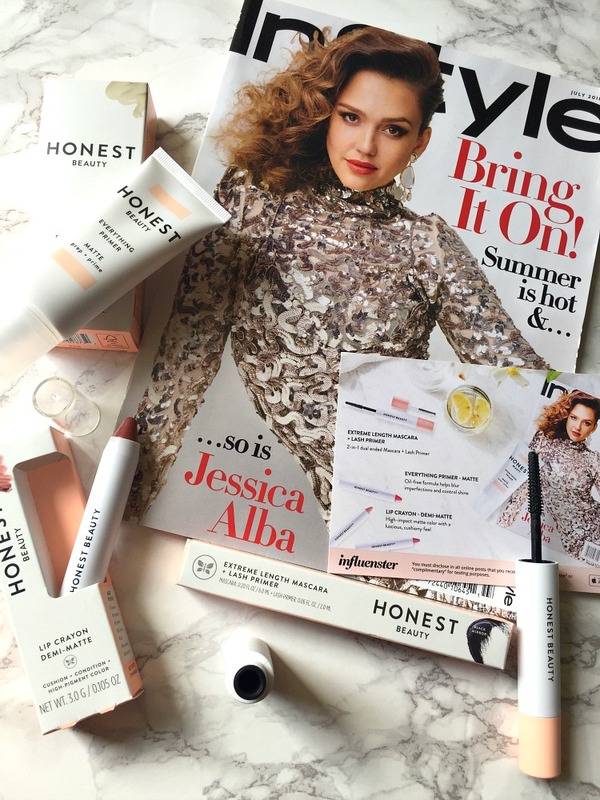 Each item can be purchased from the Honest Beauty Website and in select Target locations. ARE YOU A FAN OF HONEST BEAUTY PRODUCTS? 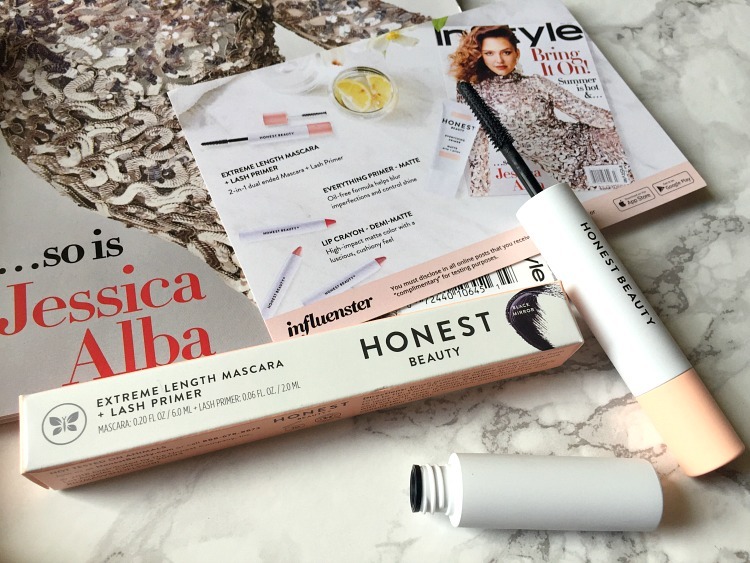 Disclosure: I received these products complimentary via Influenster and The Honest Company for testing purposes. All thoughts and opinions expressed are my own.. To see more about my disclosure policy, click here.